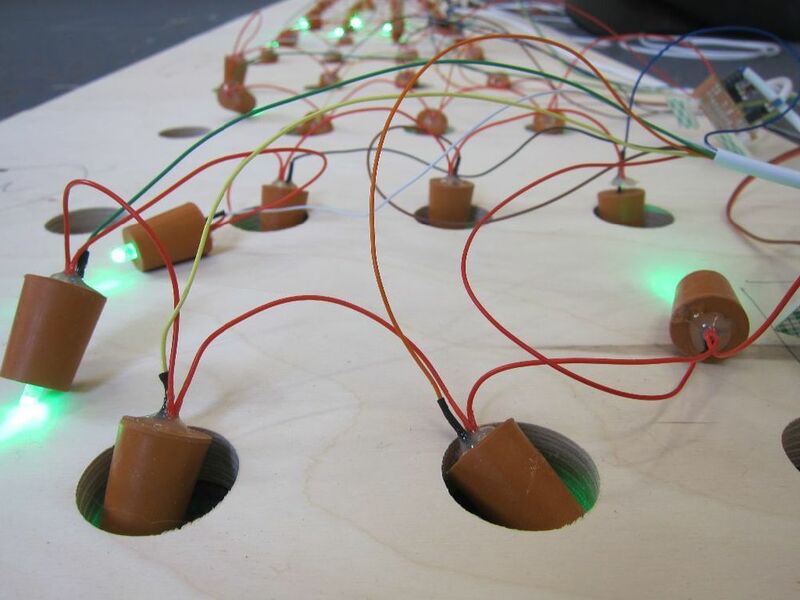 The lightladder.org is an interactive light installation inspired by Bath’s topography, installed at the Guildhall in Bath. Designed by Splash Content in collaboration with Luke Woodbury (now dotLib) and Mud, the project comprises two parts: 1) a physical installation made from 92 original Victorian bottles each containing an LED; and 2) the website, lightladder.org, which acts as the medium through which unique lighting effects may be created. 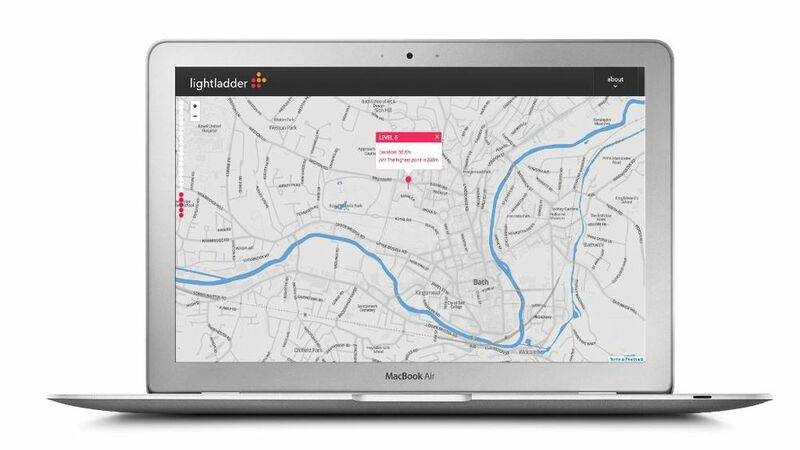 The lightladder.org was inspired by Bath’s many hills. Twenty-three rows of bottles represent the 230 meters between the city’s lowest and highest points. 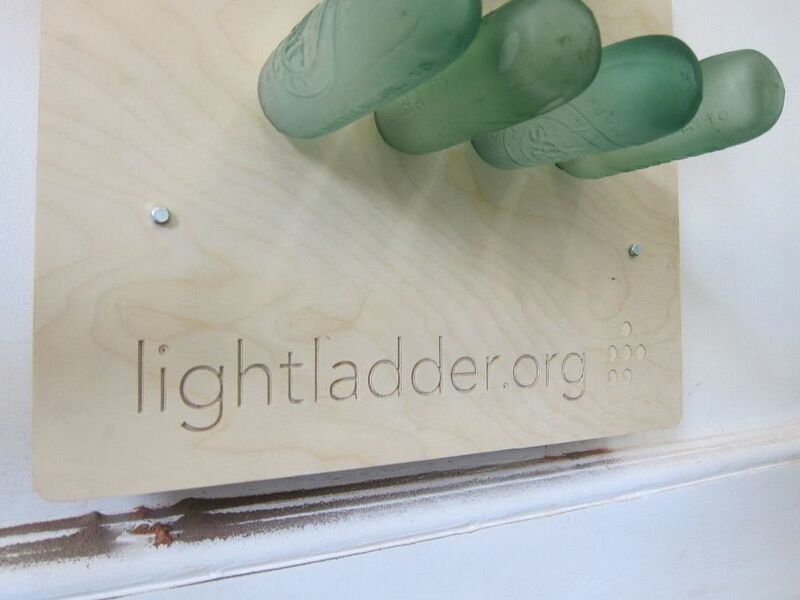 The bottles are illuminated by touching, tapping or clicking on different areas of the map on lightladder.org. 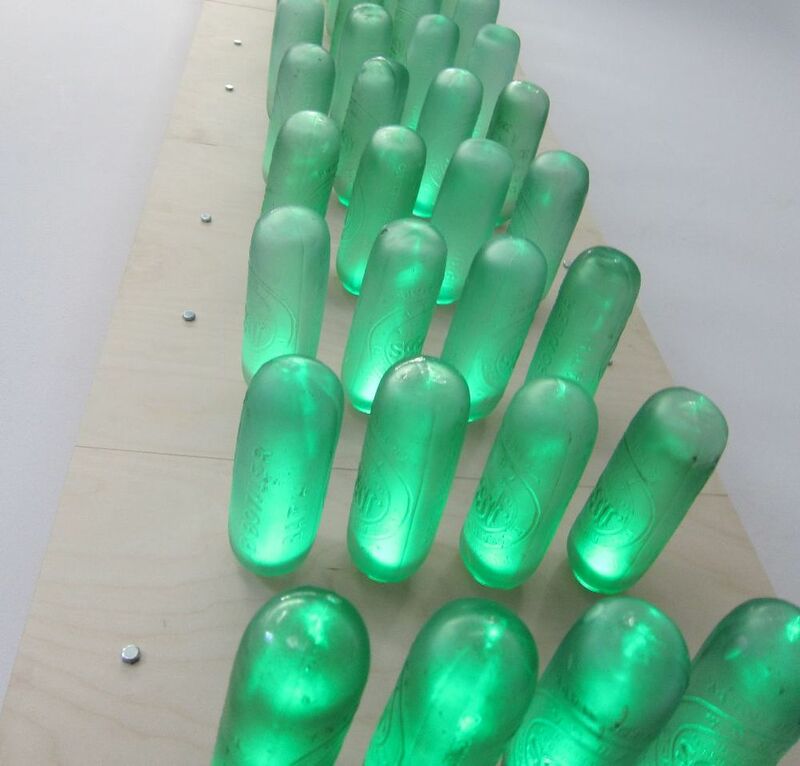 The higher the elevation, the more rows of bottles light up. 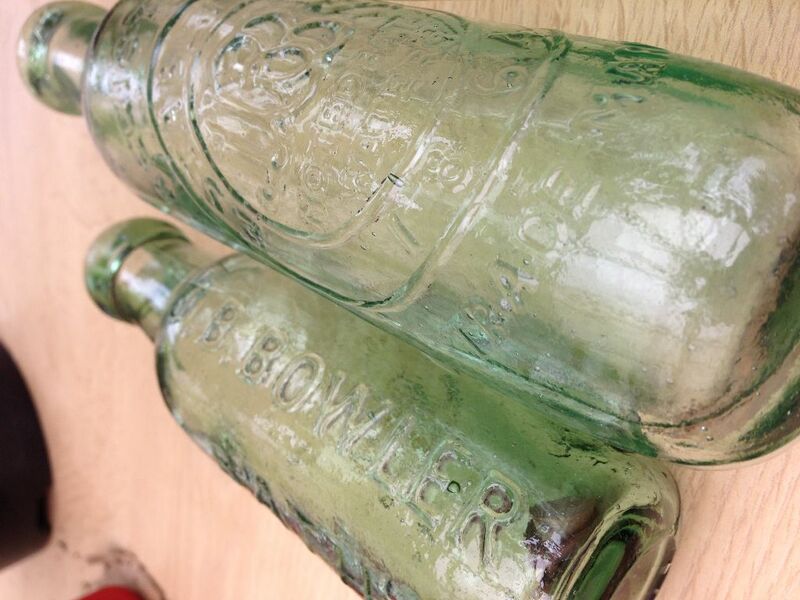 The bottles are unique to Bath; each one was hand made between 150 and 200 years ago and are currently on loan from J B Bowler collection at the Museum of Bath at Work. The handmade properties of the bottles mean no two bottles are the same, each diffusing and displaying the light different from the next.